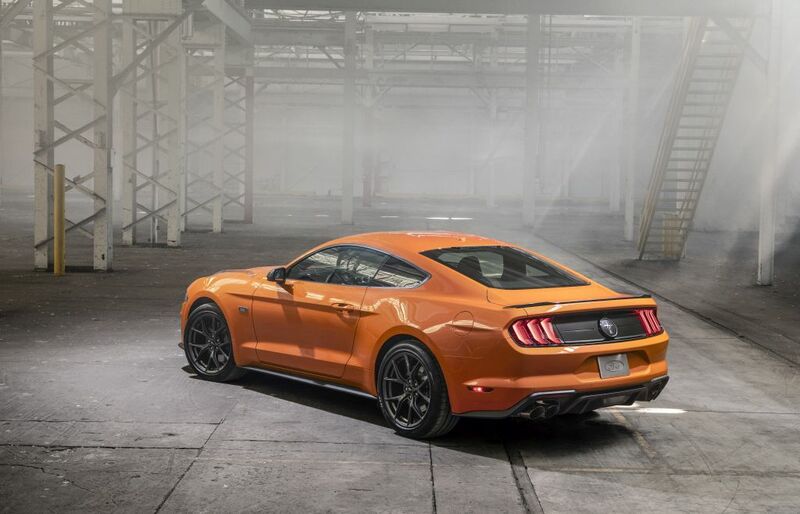 High Performance Package adds Mustang GT brakes, and GT Performance Package aerodynamics and suspension components to make it the highest-performing production four-cylinder Mustang ever. 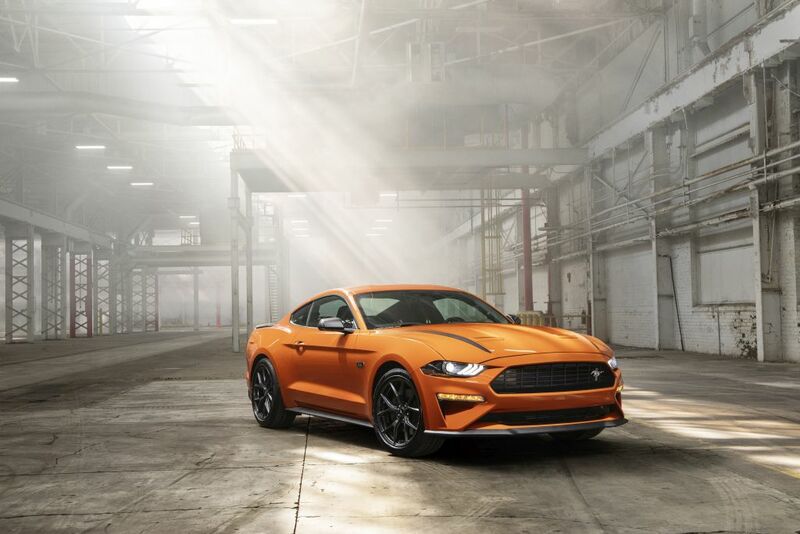 car’s 55th anniversary, the new 2.3L High Performance Package for the entry-level Mustang EcoBoost® creates the most powerful four-cylinder sports car offered by an American automaker. 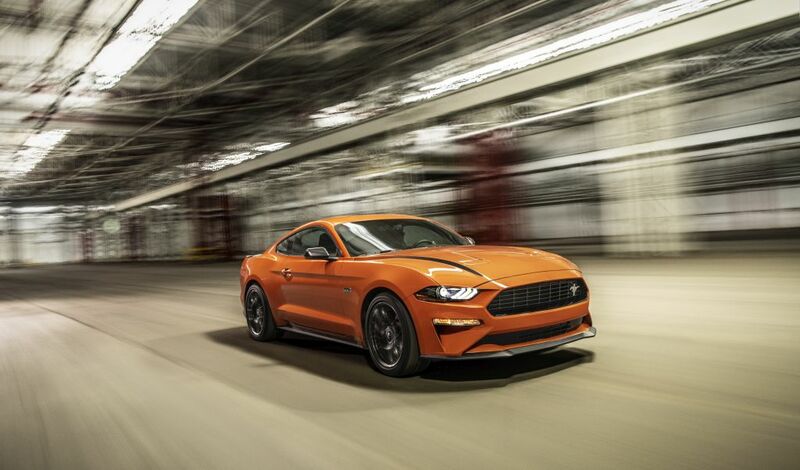 This is the result of a unique EcoBoost engine powered by Ford Performance and upgraded handling components from the Mustang GT Performance Package. Performance Package in under 10 months. 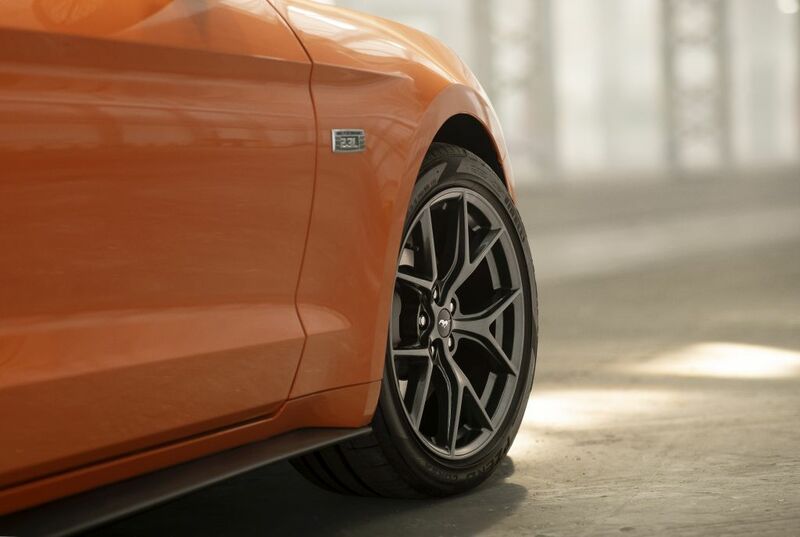 package was developed to feel at home both on thrilling mountain and coastal roads and even on the most precise autocross courses thanks to its Mustang GT brakes, performance tires, and chassis and aerodynamics hardware from the Mustang GT Performance Package. 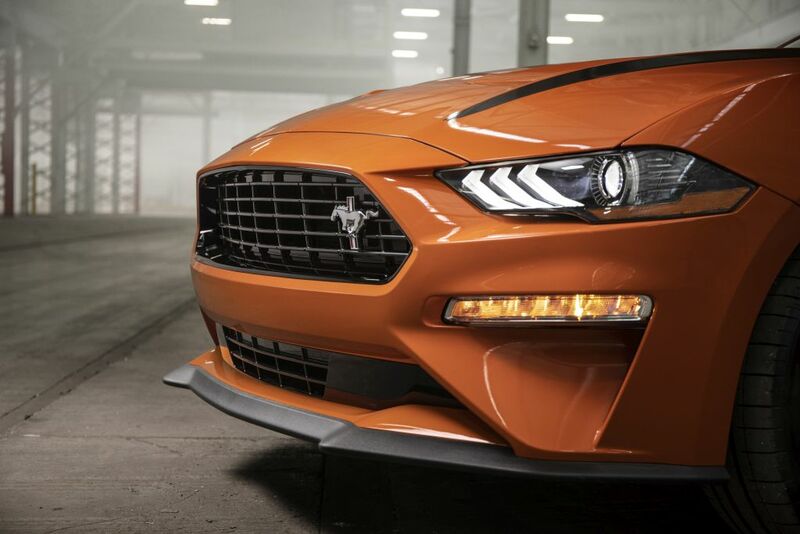 To make their project a reality, members of the Mustang team traveled to Valencia, Spain, home of the Ford Performancetuned 2.3-liter engine, to convince plant management to build a new variant of the turbocharged four-cylinder specifically for Mustang. 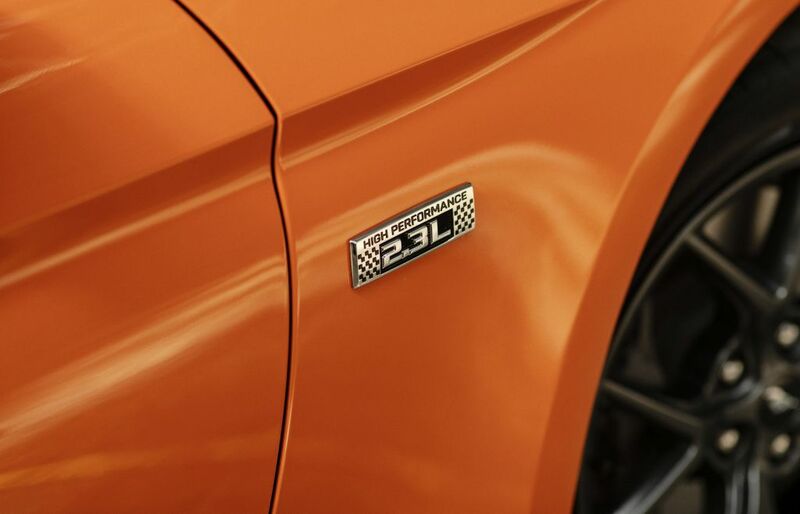 Then, with the Ford Performance-designed engine as a starting point, they tuned the EcoBoost to more broadly and responsively deliver a projected 330 horsepower and 350 lb.-ft. of torque achieved with premium fuel (per the SAE J1349 standard). faster than the base EcoBoost Mustang. 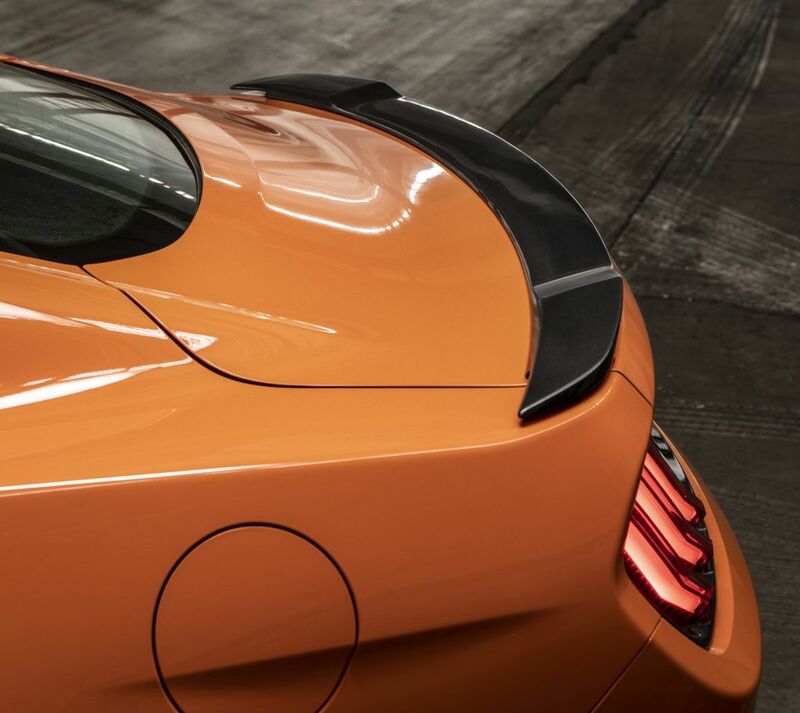 exhaust system with a signature tuned sound. 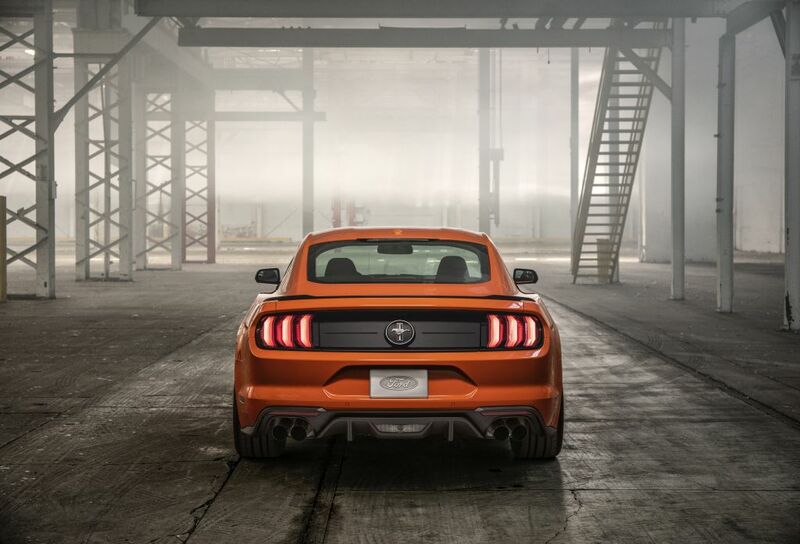 The new 2020 2.3L High Performance Package feels sharp and nimble, with an aggressive road-holding stance, nearbalanced 53/47 weight distribution and fully independent suspension, plus chassis and aerodynamic upgrades from the Mustang GT and its Performance Package. millimeter solid rear sway bar, up from 21.7 millimeters, improves handling balance. 2.3L High Performance Package with either 6-speed manual or 10-speed automatic transmission. 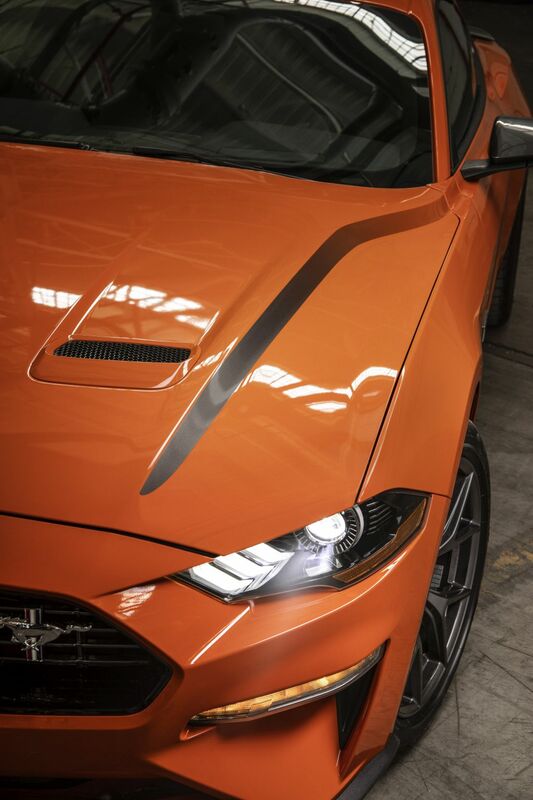 FordPass Connect™, now standard on Mustang for 2020, allows owners to interact with their vehicles via a smartphone. Using FordPass Connect’s phone application, owners can locate their parked car, lock and unlock it, and check vehicle status, such as fuel, oil levels and maintenance alerts. 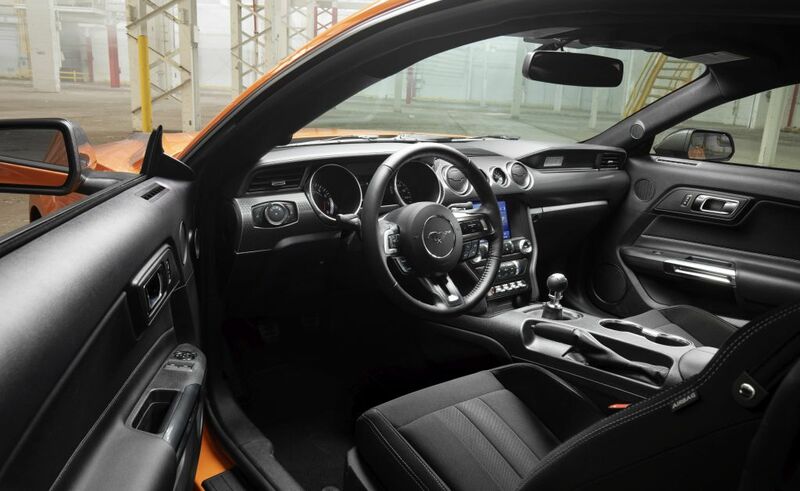 For automatic transmission-equipped Mustang models, the system has a remote start feature. The availability of these features varies by market. Orange. 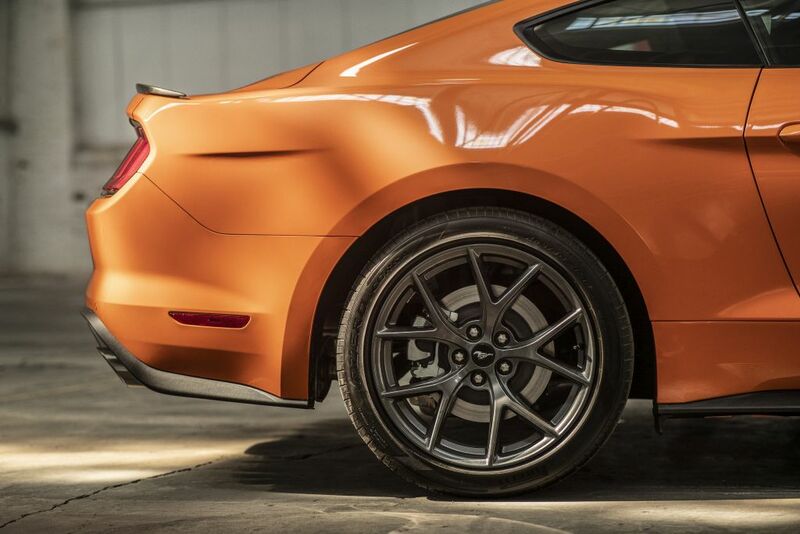 New 17-inch sparkle silver-painted aluminum wheels now come standard on the base 2020 Mustang EcoBoost. Performance milestones of 0-60 mph, top speed, and horsepower and torque ratings are based on using fuel as per SAEJ1349 standard; actual performance may vary. FordPass Connect is required for certain remote features. Service includes a one-year trial for remote features, excluding Wi-Fi hotspot, that starts with the vehicle sale date (after which fees apply). Connected service and related feature functionality is subject tocompatible AT&T network availability. Evolving technology/cellular networks may affect functionality and availability, or continued provision of some features, prohibiting them from functioning. Certain restrictions, third-party terms or message/data rates may apply.